Most people don't venture into the waters at Clifton - it's normally far too cold for comfortable bathing. However, for the past week or so, the water has been surprisingly warm... so much so that I actually ventured in without feeling an immediate desire to return to the warm dry beach. 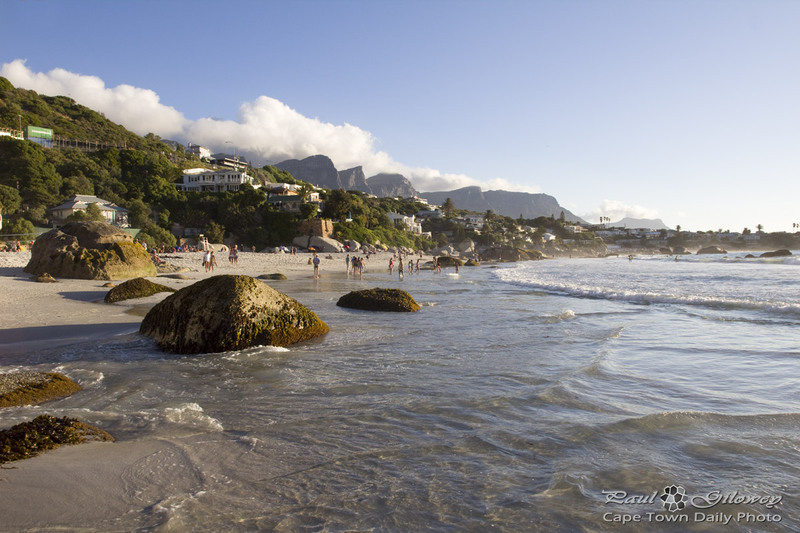 Posted in General and tagged beach, clifton on Sunday, 30 December, 2012 by Paul. Hi, for once I can look at these gorgeous photos and not sigh longingly – my daughter and her Cape Townian boyfriend announced their engagement on Christmas Day, the wedding is next December in CT! I have been happily looking back through your photos for venues. Happy 2013! I’m looking and sighing longingly! Pamela: congratulations and enjoy..
To you Paul and your wife, happy New Year and thank you for your postings,again. @Kerry, it’s a pleasure – thanks for visiting our site, and to you too, have a wonderful 2013!